Hurrah! 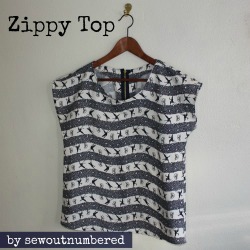 After being disappointed with my sewing efforts on Monday, my second Zippy Top is complete and declared a success! Happy dayze! 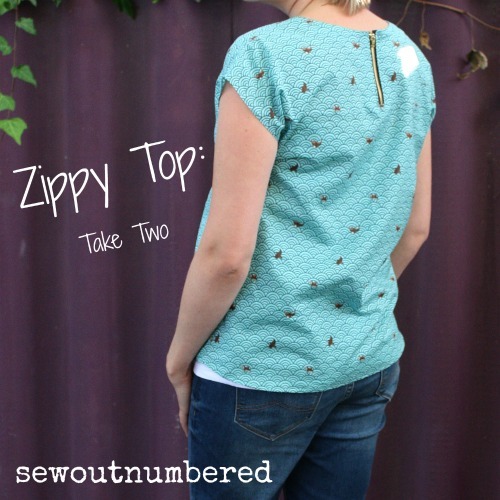 The Zippy Top is a See Kate Sew creation with just four pattern pieces, two bodice and two facings. 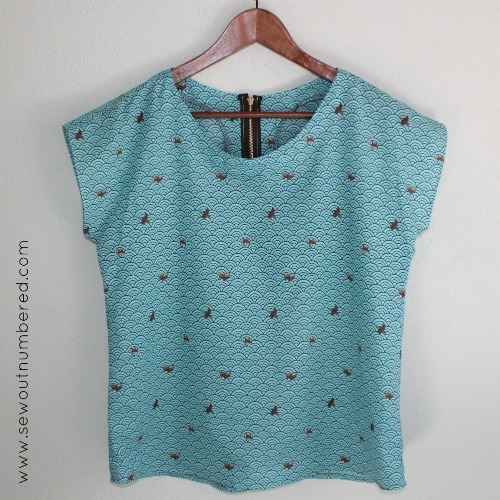 I had a few issues with my first attempt at this top, despite it being a super simple and quick pattern. This time I used a gorgeous lightweight Japanese lawn which worked perfectly. I definitely recommend going for something lightweight and flowy to avoid any stiffness. It’s also MUCH easier to ease the fabric when sewing around the curves of the hem – so no puckers! I still had a few problems with my rolled hem not turning out as perfectly as I’d hoped, even though I did lots of practice first. I *think* the key is feeding exactly the right amount of folded fabric into the foot as well as keeping it perfectly straight but I’m no expert! I’d love to hear your secret if you’ve managed to perfect this art – haha! 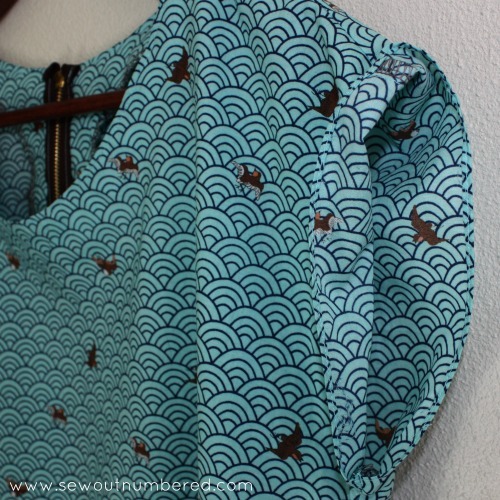 This time I understitched the facing to the seam allowance before topstitching the neckline. This step isn’t in the instructions but I really recommend it. It make for a make neater finish and made it soooo much easier when doing the topstitching. All up I’m really happy with this zippy and will be on the lookout for some more gorgeous lawn prints to make another one before spring. 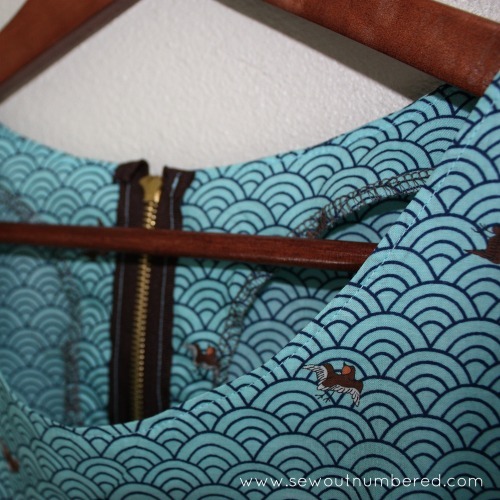 I might even try a front zipper variation that Kate explains on her blog. Well, Selfish Sewing Week isn’t over yet so gotta get back to it! 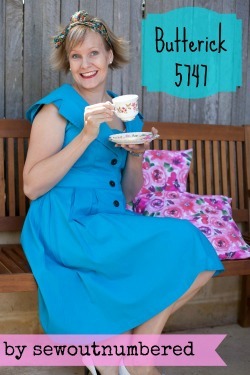 Don’t forget to check out my Sewing: Grown Up Girls Pinterest board if you’re looking for some inspiration for your own sewing.